This is a tack and sheet, short haul chantey. There are many verses and it may have been used as a halyard chantey as well. Sheet chanties were usually no longer than three or four verses. Sometimes the word 'pull' or 'haul' was used instead of Joe. 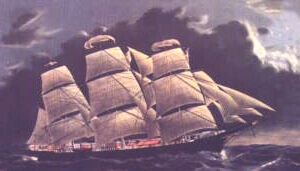 Although the chantey was known earlier among British sailors, it was not well-known on Yankee ships until the period between 1812 and the Civil War. It was obviously sung after the French Revolution. [Am] Way, haul [Em] away, we'll [Dm] haul [E] away, [Am] Joe! Me [Dm] lips would all grow [Em] moldy.